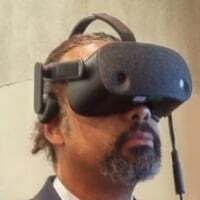 HMD is blank when HMD can't see the camera. Buying a DK2 at this point? DK2 + laptop (non desktop gpu) users: What OS and runtime do you use? Why? DK2 no longer works with Oculus desktop app? Are there other people using DK2 with the current app? Why does my DK2 periodically turn off while playing Chronos? Are old SDKs and old runtimes compatible? Identifier not found for Hmd objects? DK2 - is it still functional / relevant? Program OVRServer_x64.exe 117061-public TCID:641906 has stopped working.